When Ronda Rousey became the first American woman to earn an Olympic medal in judo in 2008, only a handful of people knew her name. Fast forward to 2015, and Rousey, a UFC bantamweight fighter, is an international force. She made UFC history with a 14-second takedown of Cat Zingano in February -- the shortest match in Championship history -- and her star continued to rise. She fought in a gown and heels in "Furious 7," and drew all of the social media attention ahead of her August match against Bethe Correia, where she improved her then-unblemished UFC record to 12-0. The 28-year-old's reign ended in mid-November, when Holly Holm, a boxer by training, took Rousey out with a vicious kick to her jaw. 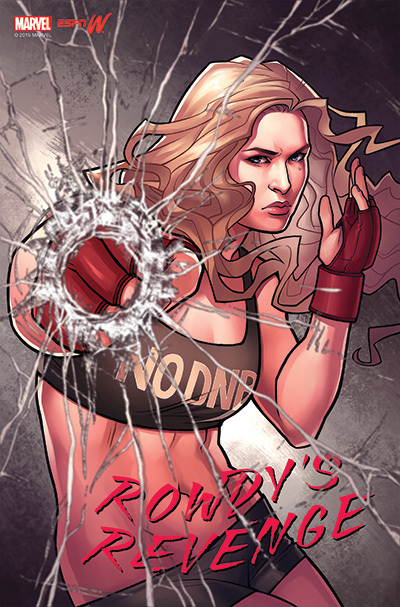 It was a punishing bout that deflated a bit of Rousey's seemingly unshakeable confidence, but knowing our Rowdy, she'll be using her six-month medical suspension to heal both body and soul, and come back with a whole new set of skills.